Jenny Dina Kirschner comes from a family full of recognized designers and artists; one could say the arts run in her blood. After growing up in St. Louis, Jenny spent more than a decade obtaining her BFA, MA, and Associate Degrees in multiple areas of fine art, design, and art education, all of which culminated with her moving to London to experience a different life and to study interior design. Jenny went on to work for design firms in London and New York before launching her firm, JDK Interiors. 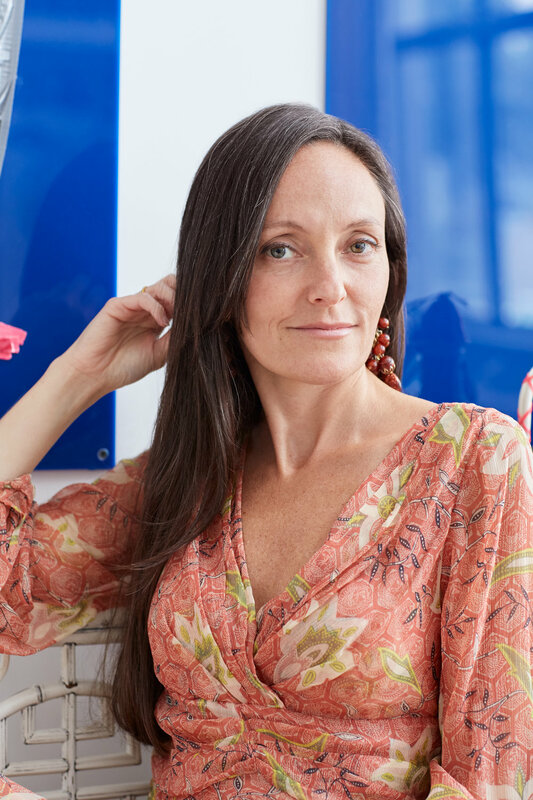 Jenny has since worked on dozens of residential projects, from Manhattan apartments, to beach-front Miami condos, to one-of-a-kind spaces and townhouses in Brooklyn. She has developed a reputation as a fearless, innovative designer, mixing various aesthetics and styles together and layering rich textiles, materials and furnishings to create unobvious, bespoke interiors that never sacrifice her clients’ visions or comfort. Jenny and her work have been featured in highly regarded media outlets including Architectural Digest, New York Magazine, Domino and NBC's Open House New York. She has participated in a number of prestigious industry events including Housing Works' Design on a Dime and Holiday House NYC, and is a recipient of IFDA’s Rising Stars 2016 Award. Jenny is still involved in education and is the PTA Leader of her children's school. She currently resides in her newly renovated Brooklyn loft with her husband, Aari, and two daughters, Minnie and Lulu.